A new law to protect workers in casual and precarious employment comes into effect today, aimed at improving the security and predictability of working hours. A "band of hours" system is being introduced where an employee's contract does not reflect actual hours worked. Under the legislation, a worker is now entitled to be placed on a band of hours that reflects the hours they have actually worked over a 12-month reference period, rather than the hours outlined in the employee's contract of employment. There are restrictions on zero hour contracts, under which employees must be available for work but are not guaranteed hours, except in circumstances of genuine casual employment or where cover is being provided in an emergency situation. There are also now minimum payments for people called into work but are sent home without work, while employers will also have to give employees their core terms of employment within five days of being hired, such as the number of hours the employer reasonably expects the employee to work per day and per week. The measures are contained in the Employment (Miscellaneous Provisions) Act, which is designed to address what the Government describes as "the challenges of increased casualisation of work and to strengthen the regulation of precarious employment." There are also strong anti-penalisation provisions for employees who invoke their rights under the legislation. Under the new Act, the national minimum wage rates for young employees have been simplified and based on age, with trainee rates of pay abolished. A person aged under-18 will be entitled to a rate of €6.86 per hour and €7.84 for an employee aged over 18. Once a person turns 20, they will have to be paid the full national minimum wage of €9.80 per hour. 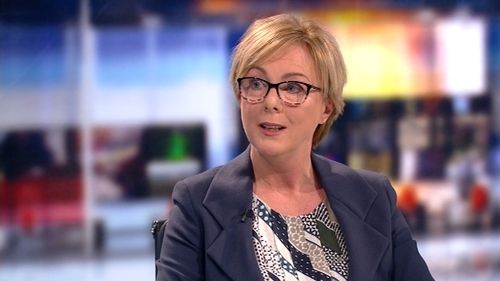 Minister for Employment Affairs and Social Protection Regina Doherty said: "From today, this new law will profoundly improve the security and predictability of working hours for employees on insecure contracts". The minister said the law "is rooted in a foundation of extensive consultation and, as a result, this is a balanced and fair measure for both employees and employers which is designed to work effectively in practice". She added: "In a changing world, this reform ensures that the available legal protections will match the conditions experienced by a modern workforce and make a real difference in the lives of thousands of workers." There has been a mixed reaction to the new legislation from unions and employer groups. General Secretary of the Mandate Trade Union John Douglas said the measures are "hugely significant." He said it will make "a massive difference for tens of thousands of low paid workers on precarious contracts in the retail sector, the hospitality sector and in the contract cleaning sector." He says the new laws will benefit a lot of women in particular. Director of Employer Relations at the Irish Business and Employers Confederation said "the key issue is the unintended consequences" that may flow from the measures. Maeve McElwee added that "it will certainly regulate a very small segment of our labour market, but that regulation in itself will undoubtedly cut off opportunities for other people to be able to flex their working time." Both employees and employers are now being urged to familiarise themselves with their rights and responsibilities under the new legislation. Workers with grievances can take their issues to the Workplace Relations Commission for adjudication, without any fear of being penalised.